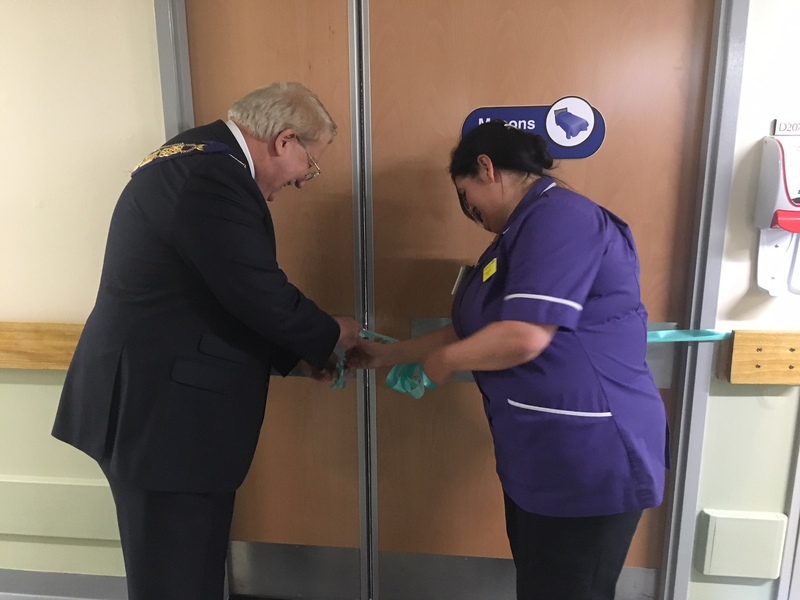 A family support room has been officially opened on Byland Ward at Harrogate District Hospital, thanks to generous donations from local Freemasons and the Friends of Harrogate Hospital and Community Charity. The Masons Suite was officially opened by the Provincial Grand Master, David Pratt, after a £25,000 donation from the Masonic Province of Yorkshire, West Riding, and £5,000 from the Friends of Harrogate Hospital and Community Charity. Provincial Grand Master, David Pratt, and Matron, Tammy Gotts, opening the Masons Suite. Tammy Gotts, Matron, who has co-ordinated the efforts to open to the Masons Suite, said: “The project has been two years in the making and we are delighted that the Masons Suite is now open. “Our huge thanks go to the Masonic Province of Yorkshire, West Riding, and the Friends of Harrogate Hospital and Community Charity, for their generous donations. Without them, the project would not have been possible. 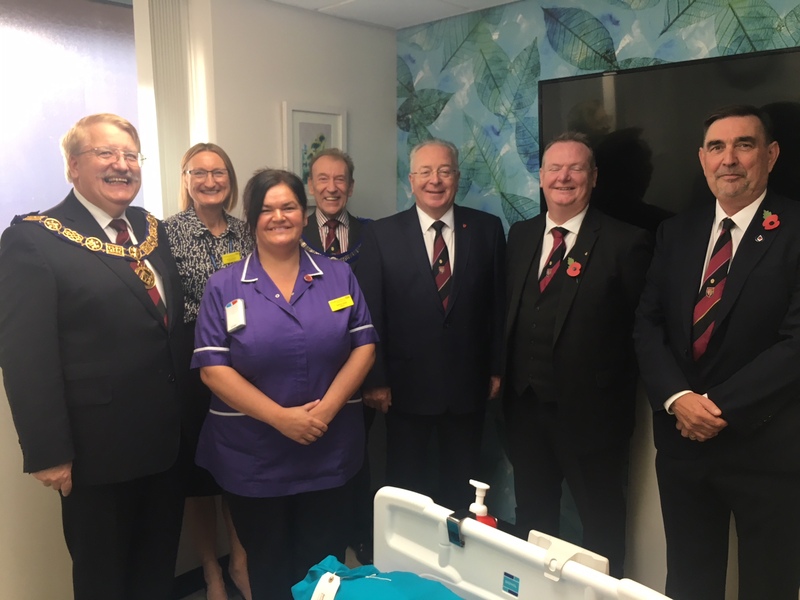 Representatives from the Masonic Province of Yorkshire, West Riding, joined Chief Executive, Dr Ros Tolcher, and Matron, Tammy Gotts, for the Suite’s official opening.